BRYAN EATON/Staff photo. 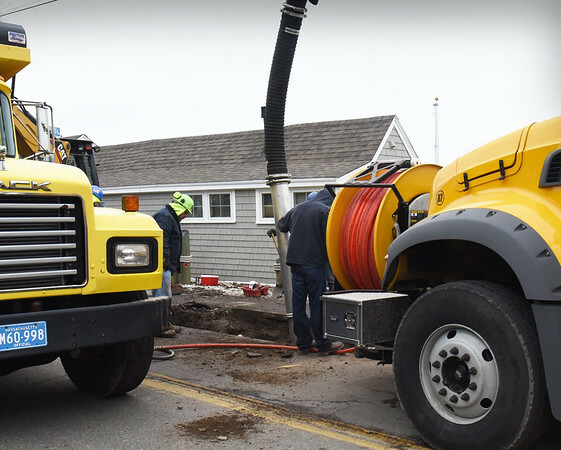 Newburyport water department repairs a water main break in front of the old refurbished clam shack on Water Street on Monday. Traffic access was closed from Marlboro to just past past Beacon Avenue during the repair.